If you are looking for an SAP consulting company in the Philadelphia, PA area to help you reduce your technology costs, improve your business processes and achieve faster time-to-value, look no further than Domain Consulting Group. Domain Consulting Group, an experienced SAP partner based in Wyomissing and Philadelphia, delivers state-of-the-art cloud and on-premise solutions that are affordable for businesses looking to utilize ERP technology to significantly improve efficiency and productivity. SAP Business One is a leading integrated ERP system that coordinates all resources and systems within your company so that every business function, including shipping and asset tracking, relies on a single database. If, like many SMEs, your accounting staff uses one piece of single-purpose software for receivables and payables, your sales staff uses another to process customer orders, and your warehouse employees use a completely different system for shipping and receiving, implementing an SAP system enables your business to eliminate single-purpose software and accomplish every one of these important functions with one robust system. With a variety of industry-specific modules, the SAP Business One platform offers a single, affordable way to manage entire businesses, streamline processes, act on timely information, and accelerate profitable growth. 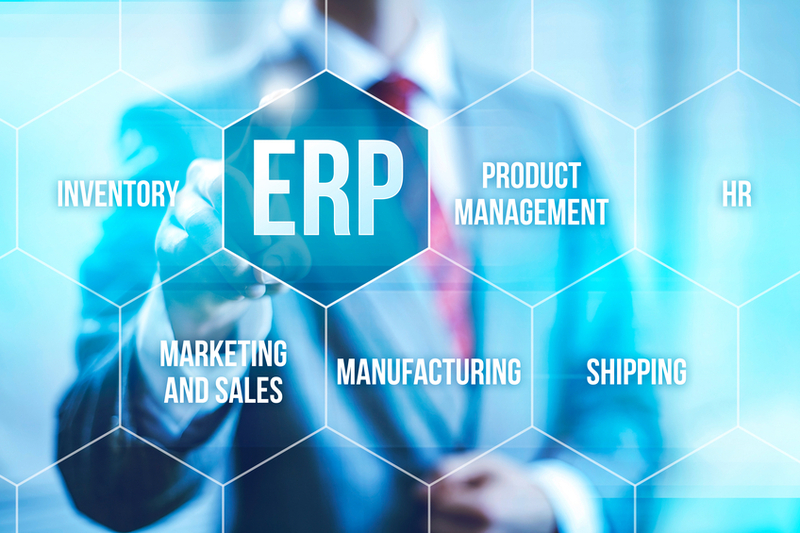 SAP Business One for Manufacturing, for example, has incomparable scheduling, capacity planning, routes and operational functionality, as well as many automated processes that support materials management, warehousing, production and commerce. SAP Business One for the Distribution Industry improves operating margins and employee productivity and automates supply chain and distribution networks. Value inventory using standard costing, moving average, FIFO, and other methods; monitor stock levels; and track transfers in real time. SAP Business One also includes powerful integrated analytic and reporting tools, such as Crystal Reports and SAP HANA, an in-memory relational database management system and application platform that allows for the lightning fast processing of massive amounts of real-time data, generating interactive reports in seconds for faster decision-making. The SAP HANA platform is also priced for small business. Why Choose Domain Consulting Group? When you need a knowledgeable SAP consulting company to help your business in Philadelphia, PA consolidate onto a single platform and get it running better than ever, Domain Consulting Group provides affordable, comprehensive solutions. Call us today at (610) 374-7644 Ext 7005 for a free consultation.